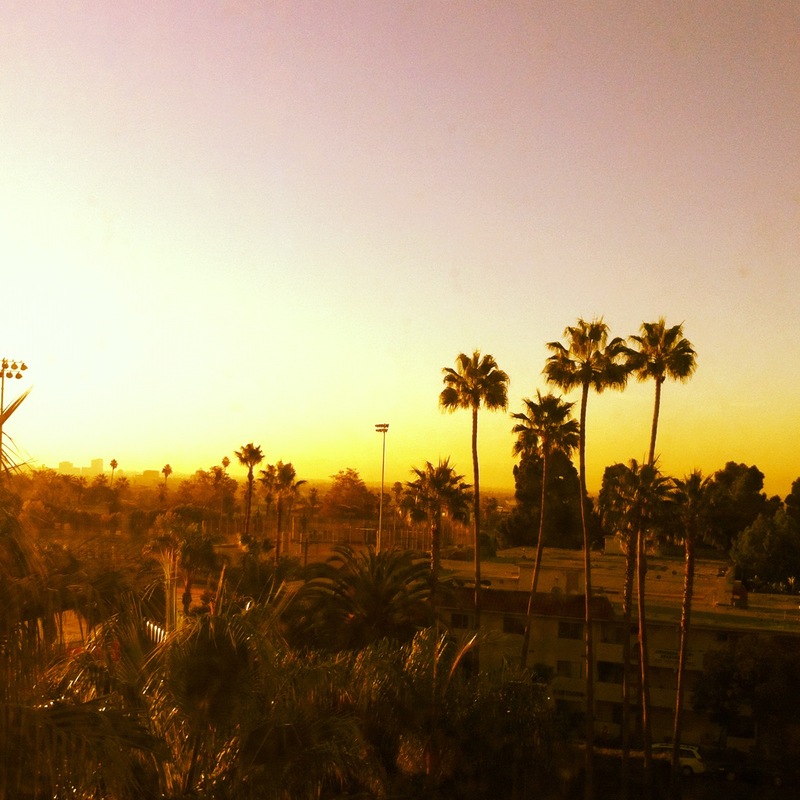 When I was in my mid-20’s I lived in California and of the many things I loved about it, waking up in the morning and looking out at the sun streaming through palm trees was at the top of my list. 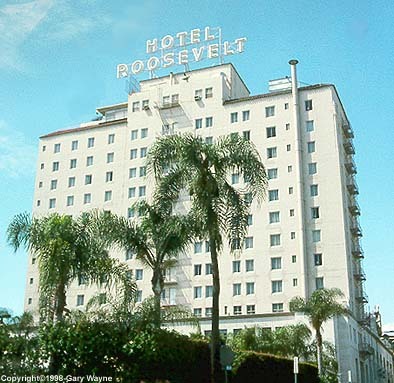 So, when I woke up at the Hollywood Roosevelt Hotel a few days ago and looked out, I was reminded of my younger self all those years ago, a young theatre artist, looking out at the sky and dreaming of the stage. 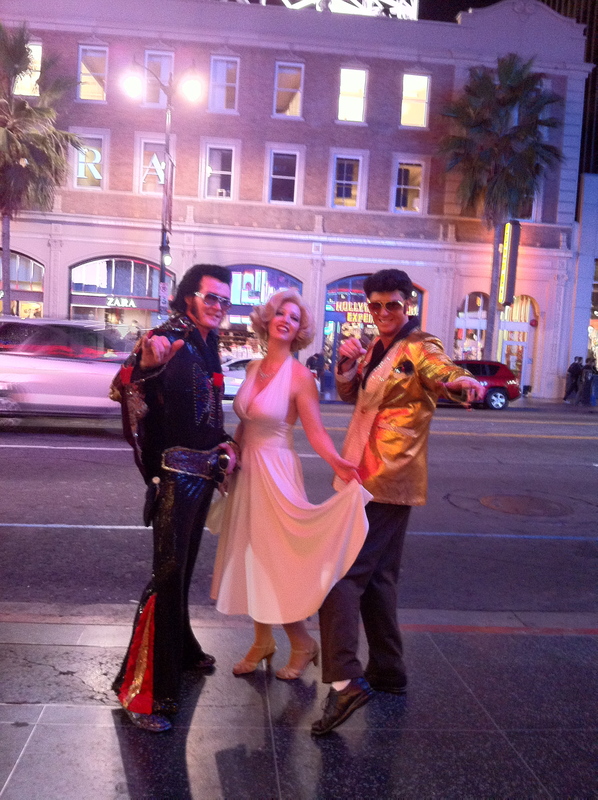 I love the artifice of Hollywood Boulevard, the ‘how I made it’ stories of success, the neon, the hustle, but also the sadness there as well, evident in the desperation and longing you see in the faces as they step towards you, selling a tour, pimping a plastic Oscar statue, posing as a star, hustling you into Madame Tussaud’s. 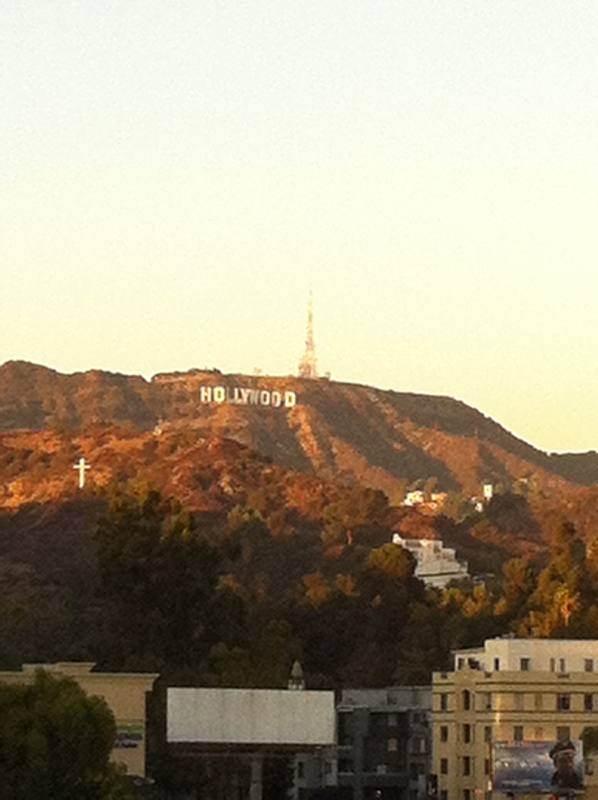 But for me, as a storyteller, Hollywood will never lose its golden hue, even if it is painted on by a hackneyed old actor trying to make a buck. I don’t see myself as any different than they are really; I grew up with the same starry-eyed dreams, watching movies, obsessed with putting on shows, lost in the dream of what could be, worshipping at the feet of the almighty Oscars, getting lost in storyworld’s and feeling separate from my reality in a way I could see other children did not. For that, I remained somewhat of an outsider, a loner, and had the similar experience of being both a performer and an introvert, unsure of my belonging, but driven to make-believe. Ironically, I felt more akin to the characters along this short, but famous strip, then I did with many of those who marketed themselves as storytellers at Storyworld (the conference I attended in LA). As so often happens with big conferences over time, Storyworld this year seemed to pander to mega business entities, 100 million dollar franchises, and a hierarchy of transmedia talent that let you know if weren’t near the top you were most definitely at the bottom. Not dissimilar to elementary school when you couldn’t get in with the cool group and knew you were relegated to the outsiders and weirdos. Luckily, there were a few folks like Lance Weiler and Brian Clark of GMD Studios who seemed to have found a way to be at the top of the transmedia food chain and still keep pretension to a minimum and art front and centre on their agenda. Both are doing great work. As a writer, I know that I will always have to stay on the outside to create good work and I’m perfectly fine with it. I know where my tribe is, however flawed or desperate, marginalized or freakish they may be, and I am glad to be one of them. I write stories. I speak stories. I capture stories. I dream of stories. I wake up and search for stories online. I go to bed reading stories about people’s dinners, their hotel stays, their annoying pets on Instagram; I discover and ‘like’ pictures of photos by young artists around the world on Pinterest, comment on Facebook stories by clients, write manuals on how to tell stories, track client stories on social media, upload pictures to Tumblr, link stories to ScoopIt, bookmark stories for telling. I print off storyboards, do photo shoots of characters, work on Transmedia drama, text stories from a character’s head, discuss on Skype with my web designer exactly how we are going to accommodate ridiculous Transmedia story forms?, and somewhere in between all of that I’m telling and living my own story. My life is total story mania right now. On Wednesday, I fly down to attend Storyworld. I’m staying at one of the most famous hotels in California and I cannot WAIT to take my character, Mrs. Everett, there as a virtual guest. Indeed, I have forgotten entirely what it is to live just as me in real-life anymore. Who cares? This is way more fun. So, maybe this is my way of saying I’m sorry to be late in posting to my personal blog of which you are a lovely reader and I am deeply grateful for your patience as I run around with other people. You and I both know we have a special, exclusive, blog only relationship together that I’ll never leave so we’re good right? Right? 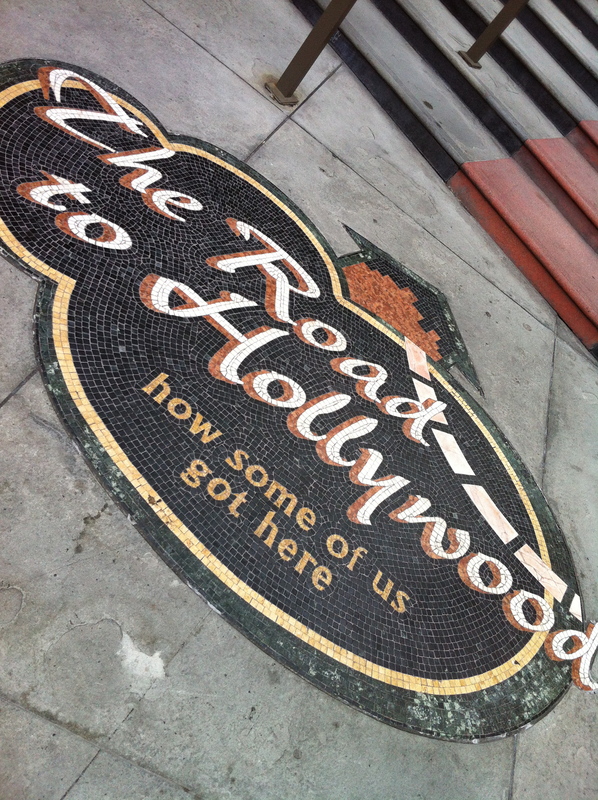 I’ll have some wicked stories to tell soon from Hollywood. Who knows what Mrs. Everett will get up to. Stay tuned for more…stories.